Moroccan Chalcedony Piece. 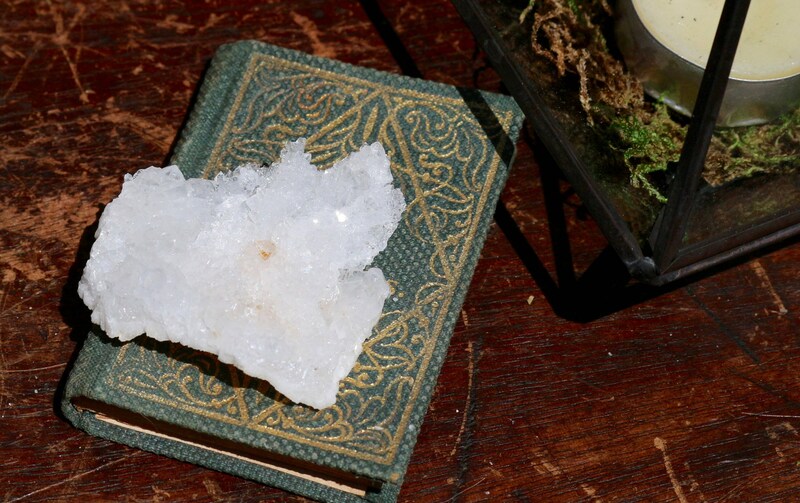 This piece is filled with sparkly quartz druzy that is as white as snow and sparkles like the sun. Geodes are spherical rocks that contain hollow cavities lined with crystals. The name geode comes from the Greek word Geoides, which means "earthlike." These unique rocks can are created by nature in a variety of ways, e.g., in bubbles of volcanic rock, where animals burrow, tree roots, and mud deposits in sedimentary rock. Over time, the air, mud, or tree roots create a hollow cavity within the stone, and the outer edges harden into a spherical shape. Then groundwater naturally dissolves and picks up a variety of minerals as it makes its way down from the surface and flows into the cavity. As the water flows in and out of the cavity, the minerals get deposited on the inside of developing geodes over extended periods of time creating crystals. Chalcedony is a nurturing stone that promotes brotherhood and goodwill and enhances group stability. 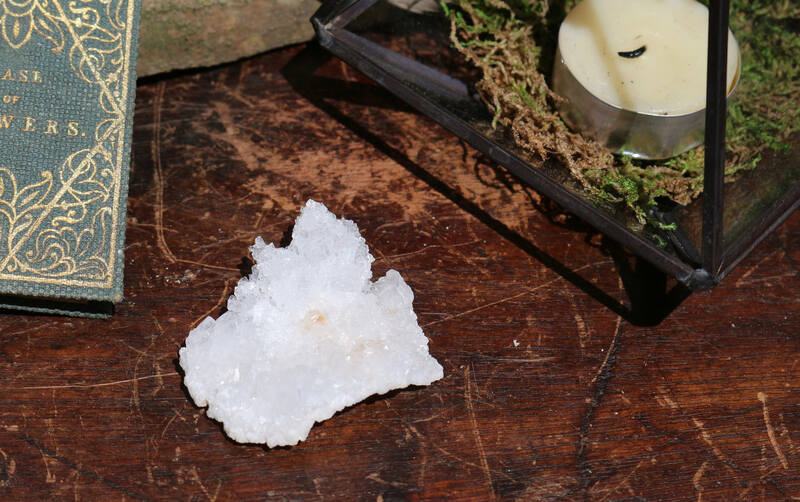 Chalcedony brings the mind, body, and spirit into alignment. Chalcedony removes unwanted feelings of hostility, removes sadness, self-doubt and helps to build self-confidence. Chalcedony is thought to be a is a powerful healer and cleanser. It is said to help one who has a lack of maternal instincts and can lessen the effect of dementia and senility. 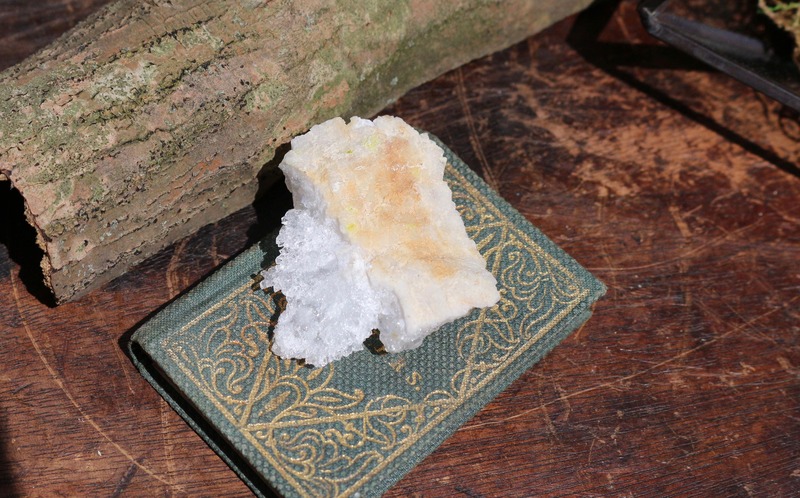 Chalcedony balances the mind, body, emotions and spirit into a whole.